Stepping into adolescence, girls experience many physical and mental changes. They experience thrill as well as confusion at times. Do you also feel confused because of physical and mental changes during adolescence? Do you have questions about your career plans? Do you need information about your further studies? Are you perplexed about your future and about choosing your life partner? 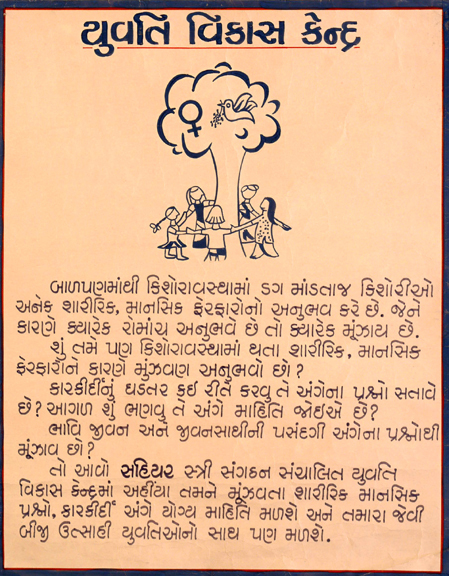 Then come to the Young Women’s Development Centre run by Sahiyar’s Women’s Association. Here you can find relevant information for your confusing physical and mental problems and career. You can also find the support of young, enthusiastic women like you.